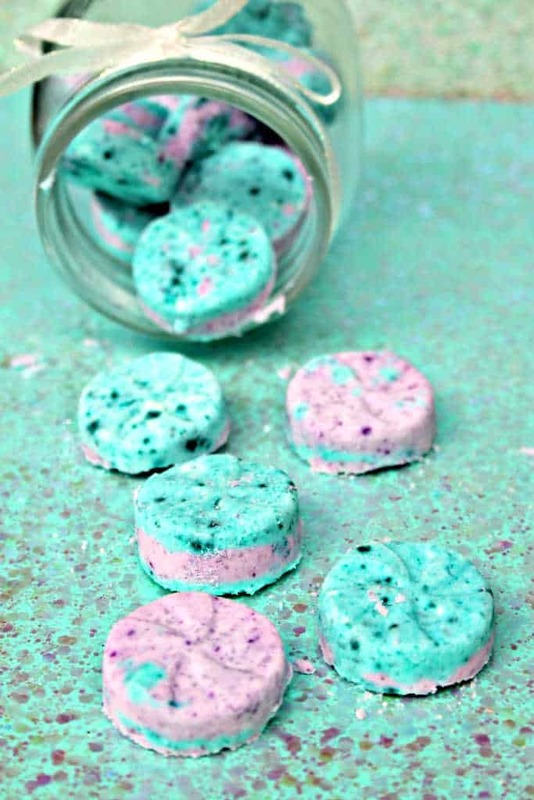 Make your own all natural homemade mermaid bath bombs without citric acid for your favorite mermaid! 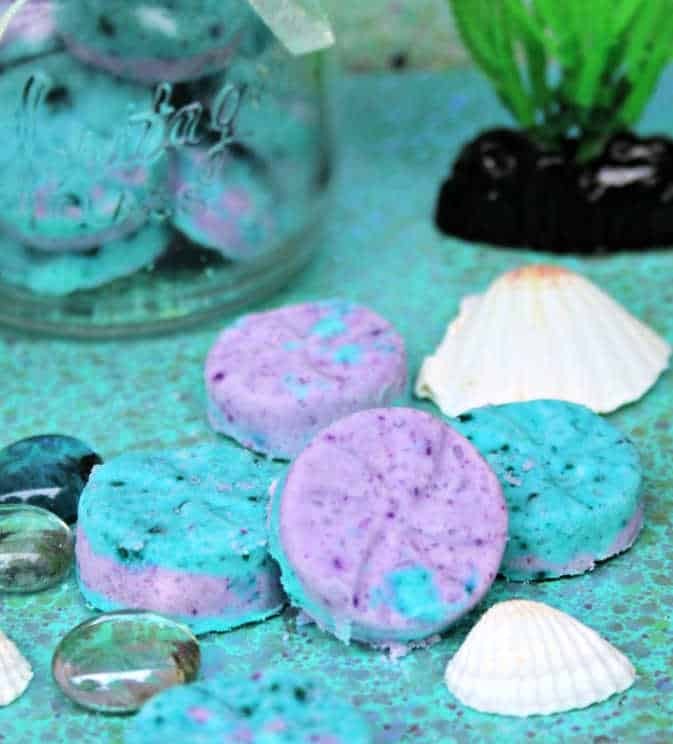 These all natural bath bombs also make colorful and fun homemade gifts. 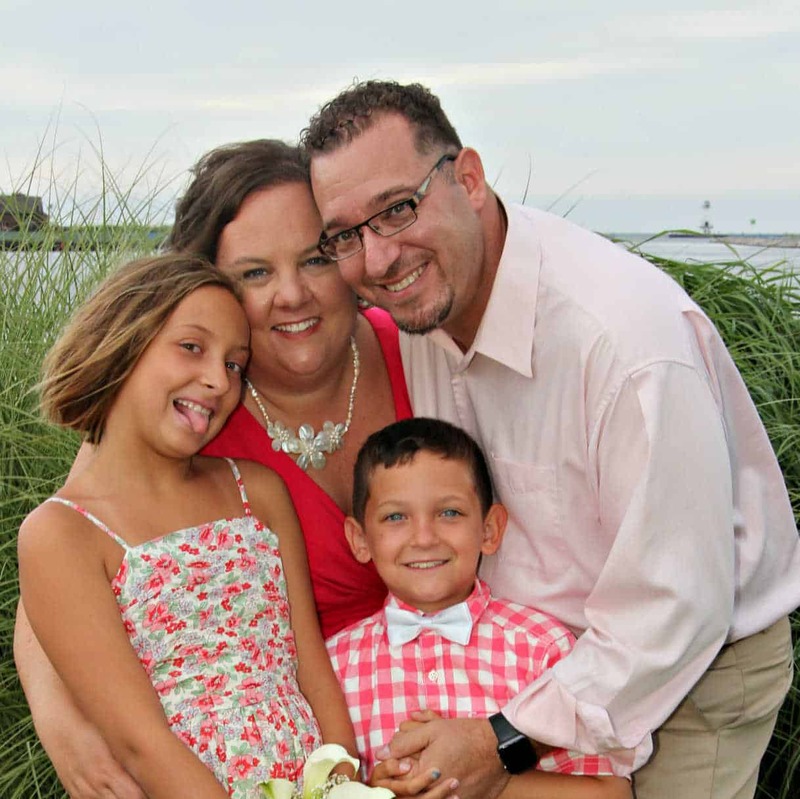 If you have tween or teen girl in your home then you are probably familiar with their love for mermaids and bath bombs. Even if they aren't in to mermaids, they are most likely in to bath bombs. Buy bath bombs can get really expensive. It's hard to justify $10 on an item that's going to dissolve in about a minute. When you buy less expensive bath bombs, the ingredients can be a little questionable, if you can find a list of them at all. Making your own all natural bath bombs will save you a lot of money and you'll know exactly what's in them. 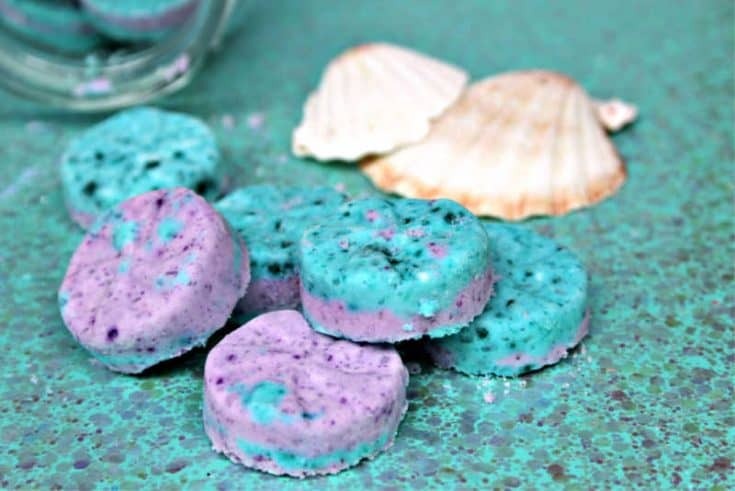 While these DIY bath bombs are made for mermaids, you can use the same recipe for any both bomb you like. 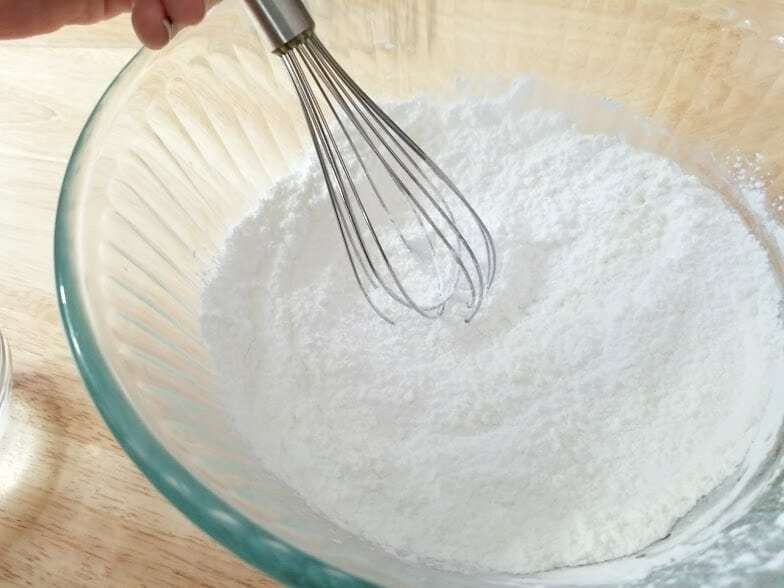 First, add baking soda,corn starch, Epson salts and cream of tartar to a medium size mixing bowl. 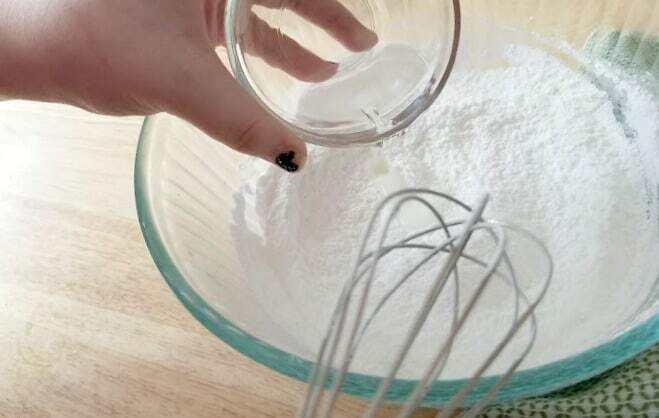 Use a small whisk to combine the ingredients. Make sure that all ingredients are thoroughly combined together. 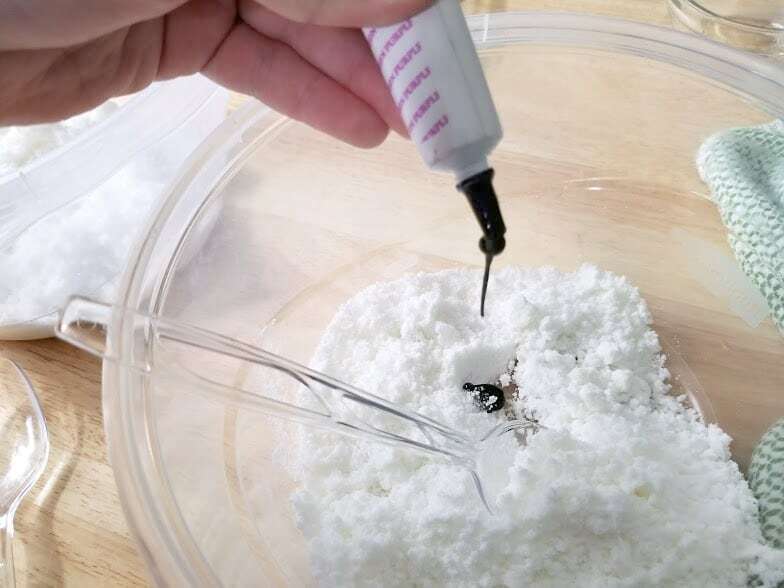 Once all the dry ingredients are combined, add water and essential oils to the mix. 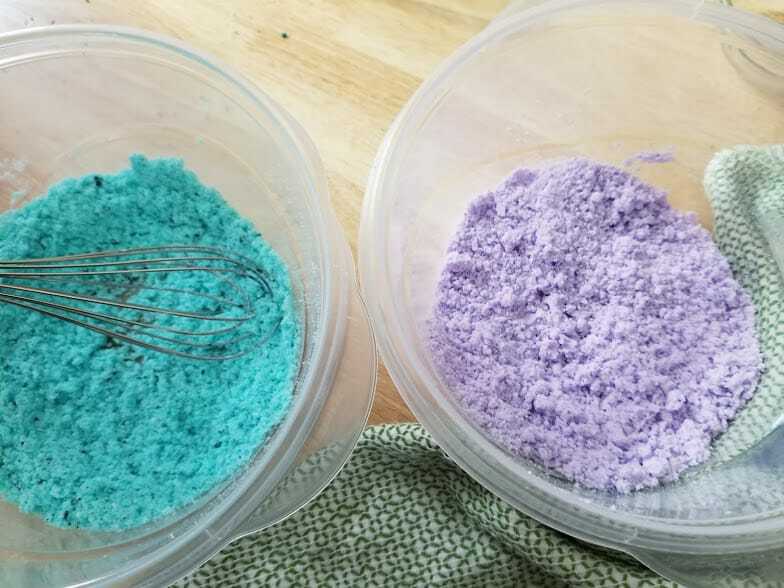 Next, you will make two different colors for the bath bombs. Separate the mixture equally into two bowls. Add purple food coloring (or red and blue) to one bowl. Keep adding color and stirring until you get the purple color you want. 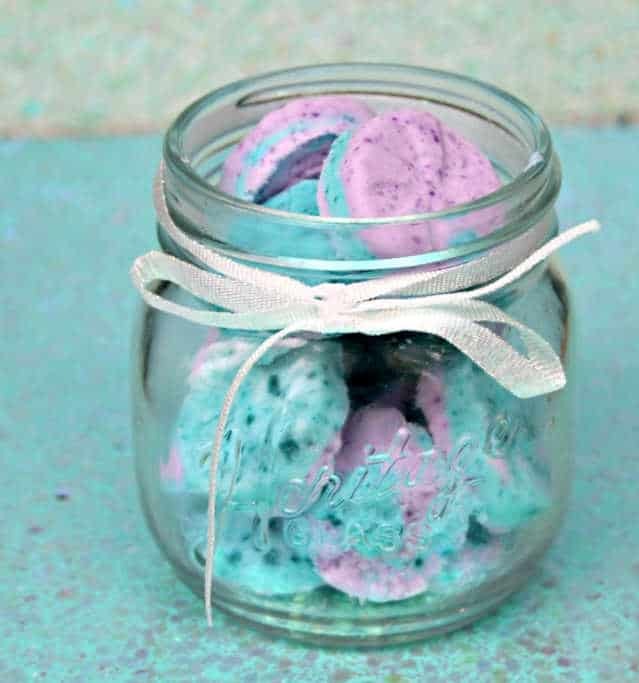 Do the same thing with the second bowl only with teal (or blue and green) food coloring. You want to mix the colors so they look like a mermaid. Of course, you can make them any color you want and even keep a third bowl white. It's easy to layer as many or little colors as you'd like. 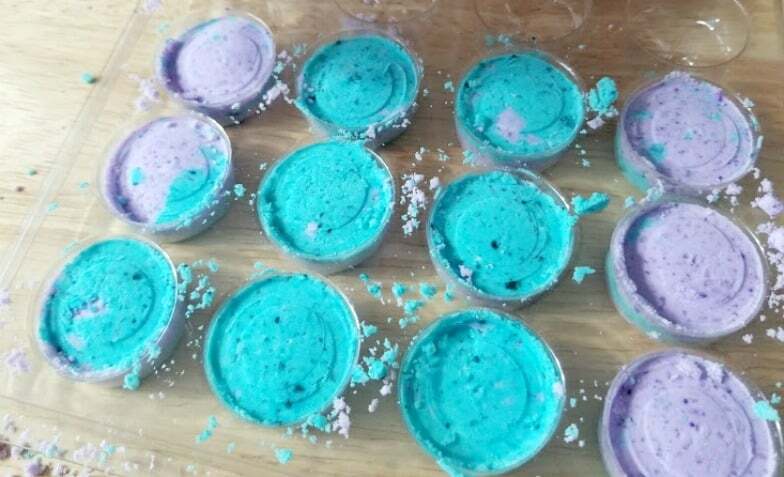 Begin to layer the different colors of the bath bomb mixture into a mold. You can use any mold you'd like. These are small tab shaped molds. But you can also use bath bomb molds, small sphere molds or even an ice cube try. Layer the different colors any way you prefer. These bath bombs were done half and half but have fun and be creative. Make sure whatever mold you use that the bath bomb mixture is tightly compacted in the mold. Allow to harden at least 2-3 hours but overnight is better. Carefully unmold the bath bombs when they are hard. Store in a jar or other container. 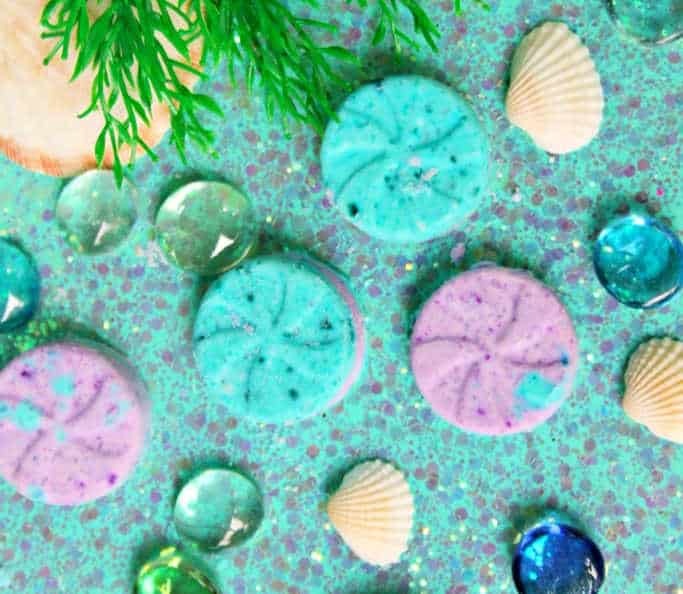 Drop a few Mermaid Bath Tabs into your warm bath water and relax! 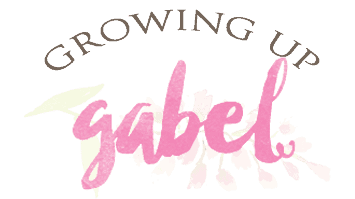 Caution…a mermaid tail may grow! 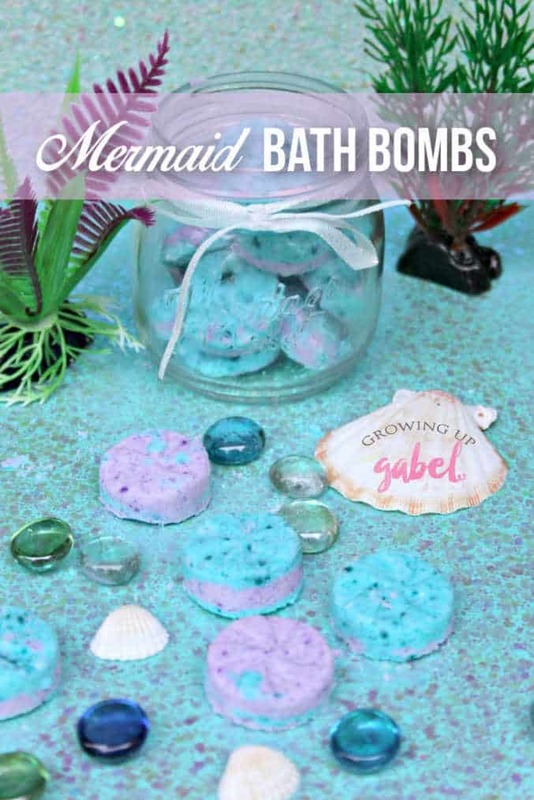 Make your own all natural homemade mermaid bath bombs for your favorite mermaid! These all natural bath bombs also make colorful and fun homemade gifts. 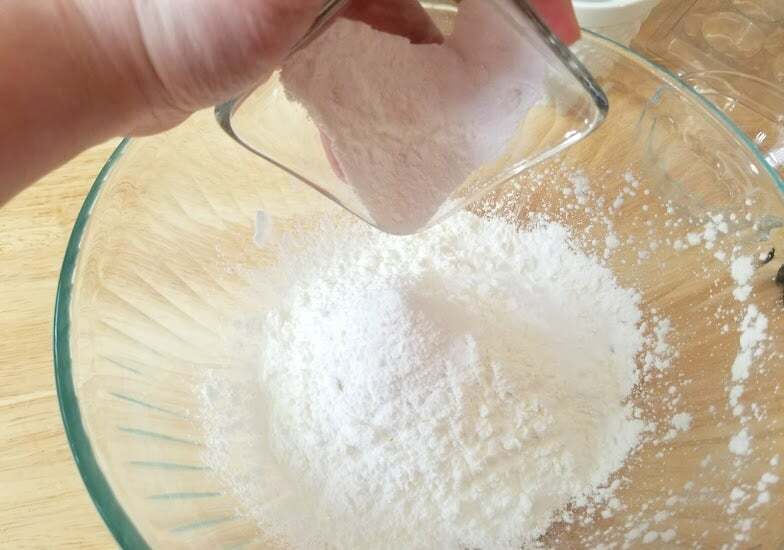 Add baking soda, corn starch, Epsom salts, and cream of tartar to medium size bowl. Use a small whisk to thoroughly combine. Add water and essentials to the dry ingredients and stir to combine. Separate the mixture equally into two bowls. Add purple (or red and blue) food coloring to first bowl and stir until desired coloring is achieved. 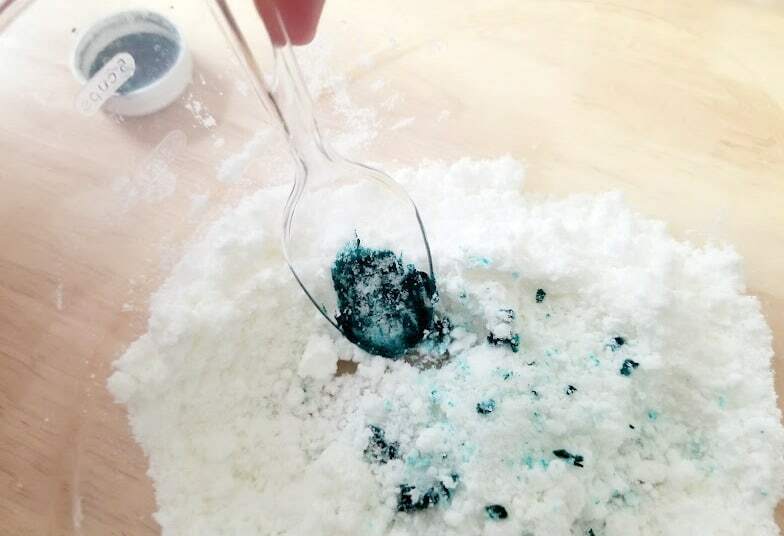 Add teal (or blue and green) food coloring to second bowl and mix until desired color is achieved. Begin to layer the two colors into your mold. Layer half and half, or any way you like. Press down firmly into mold until tightly compacted. Allow to harden at least 2-3 hours but preferably overnight. Carefully remove from mold after hardened and store for use.